Chronic Insomnia – What are the Best Treatments? The American College of Physicians just published guidelines on the treatment of chronic insomnia. These guidelines were based on a comprehensive review of the literature. They note that chronic insomnia is very common, but the literature on treatment is relatively poor. Many treatments that are used do not have good evidence supporting their effectiveness. ACP says that the best treatment is cognitive-behavioral therapy. Pharmacological treatment should be added to CBT if needed. Chronic insomnia is defined as insomnia that occurs for at least 3 nights weekly for more than months. Sleep disruption has to be associated with clinically significant distress or impairment and must not be a consequence of another medical or psychiatric disorder. 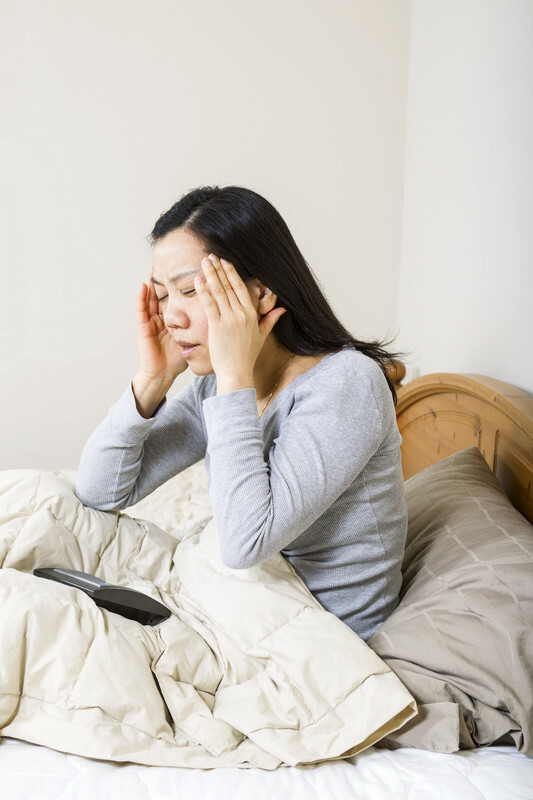 Options to manage insomnia include psychological, pharmacological, or combination therapy. Psychological therapy includes sleep hygiene, stimulus control, sleep restriction, relaxation training, and cognitive-behavioral therapy (CBT). According to the guideline, moderate-quality evidence shows that CBT improves aspects of sleep. It can be provided in one-on-one therapy, group therapy, self-help books, and Web-based courses. We have had excellent results using the SHUTi program. Medications approved by the FDA include benzodiazepines, nonbenzodiazepine hypnotics (i.e., zolpidem, eszopiclone, and zaleplon), an orexin-receptor antagonist (suvorexant [Belsomra]), a melatonin-receptor agonist (i.e., ramelteon), and doxepin. Many other kinds of medications including antihistamines, antipsychotics, and melatonin are used off-label. Low-to-moderate quality evidence indicates that doxepin, suvorexant, eszopiclone, zolpidem, and extended-release zolpidem each improved total sleep time (by approximately 15–45 minutes). Zaleplon has not been shown to extend total sleep time, and the research literature is insufficient to evaluate the efficacy of benzodiazepines, melatonin, trazodone, or other off-label medications. For more on medications for insomnia read this detailed review. All adults with chronic insomnia should receive CBT as first-line treatment (strong recommendation; moderate-quality evidence). Clinicians should use shared decision making to determine whether short-term pharmacologic treatment should be added if CBT alone is unsuccessful (weak recommendation; low-quality evidence). Qaseem A et al. Management of chronic insomnia disorder in adults: A clinical practice guideline from the American College of Physicians. Ann Intern Med 2016 May 3; [e-pub]. Kathol RG and Arnedt JT. Cognitive behavioral therapy for chronic insomnia: Confronting the challenges to implementation. Ann Intern Med 2016 May 3; [e-pub]. Wilt TJ et al. Pharmacologic treatment of insomnia disorder: An evidence report for a clinical practice guideline by the American College of Physicians. Ann Intern Med 2016 May 3; [e-pub]. Brasure M et al. Psychological and behavioral interventions for managing insomnia disorder: An evidence report for a clinical practice guideline by the American College of Physicians. Ann Intern Med 2016 May 3; [e-pub].